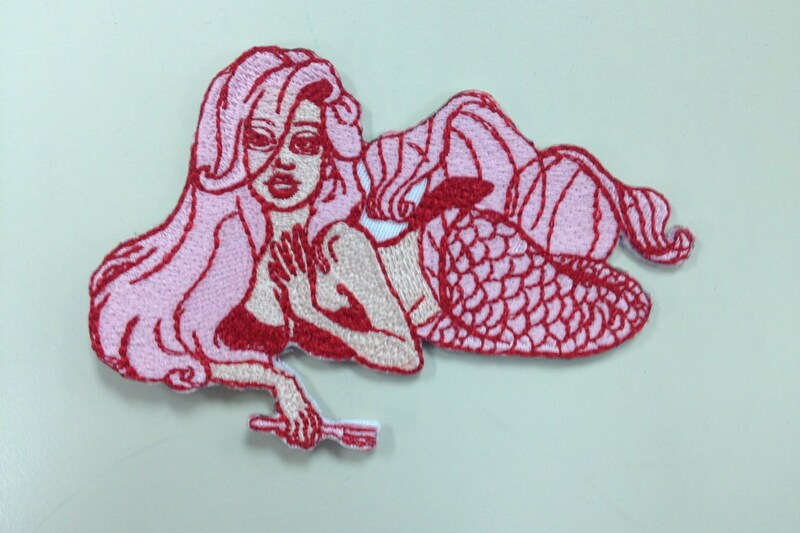 This embroidered patch measures 4" X2 1/2" Use it to decorate your apparel, bags, or any other items. It has an iron on backing and is sewn with fleshtone thread, red and ruby thread. perfect details and an overall amazing patch! i love mermaids and now i can wear one every day. Really cool and different being the more mono tone color but great detail!